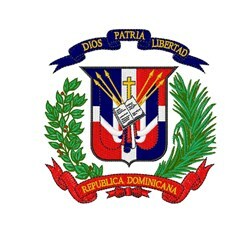 If it's country loyalty you want to demonstrate this Dominican Republic coat of arms is perfect on t-shirts, jackets, sweatshirts, hats and more! Easy Embroidery is happy to present Dominican Republic Coat of Arms machine embroidery design which has 28159 stitches and is [99.06 mm x 101.60 mm] large. If you would like to view more embroidery patterns please search on our embroidery designs page.